"She makes you feel comfortable and she really hears what you are saying." "I love Dr. Piantanida! She is super knowledgeable. Highly recommend." "Such a caring and nice staff. Dr. P is amazing." "Very good doctor I highly recommend her." Dr. Elizabeth Piantanida is a board-certified dermatologist who treats patients in Colorado Springs, Colorado.  She provides a wide range of services to patients at Skin MD Colorado, including Botox®, cosmetic dermatology, and treatment for most common skin ailments. The founder and director of Skin MD Colorado, Dr. Piantanida grew up in San Diego, California, where she earned a bachelor’s degree from the University of California, San Diego. After earning her undergraduate degree, Dr. Piantanida enrolled at Tulane University School of Medicine, where she received her medical degree with academic honors. She was also elected to the prestigious Alpha Omega Alpha Medical Honor Society. She then completed her residency in dermatology at the Walter Reed Army Medical Center/National Naval Medical Center. Dr. Piantanida earned board certification from the American Board of Dermatology. She is also a fellow of the American Society of Dermatologic Surgery and the American Academy of Dermatology. In addition to practicing privately, Dr. Piantanida serves as an adjunct assistant clinical professor of dermatology at the Uniformed Services University of Health Sciences School of Medicine and Mount Sinai School of Medicine. Her specialties include cosmetic dermatology, surgical dermatology, and general dermatology. When she isn’t at work, Dr. Piantanida enjoys spending time with her husband and three sons traveling, skiing, and hiking. To make an appointment with Dr. Piantanida, contact Skin MD Colorado today. Online appointment scheduling is available. General Dermatology We offer medical treatment for all skin, hair and nail disease for the entire family including skin cancers and screenings, skin excisions, acne care, eczema, psoriasis and more. Keep up-to-date with our specials and monthly promotions! At Skin MD Colorado, we accept most major insurance plans. Please contact our office if you do not see your insurance provider listed. "Skin MD is a great place to go if your goal is youthful, great feeling skin! Dr. Piantanida is an excellent dermatologist in providing solutions for this goal." "She is a magician! Her staff is friendly and the office is in a convenient location with ample parking. You will be pleasantly surprised!" "Dr. Piantanida is an excellent dermatologist! She explains everything very clearly and is very compassionate." "I have been with Dr. Piantanida for about 10 years now and she is wonderful! She is very personable and does great work."